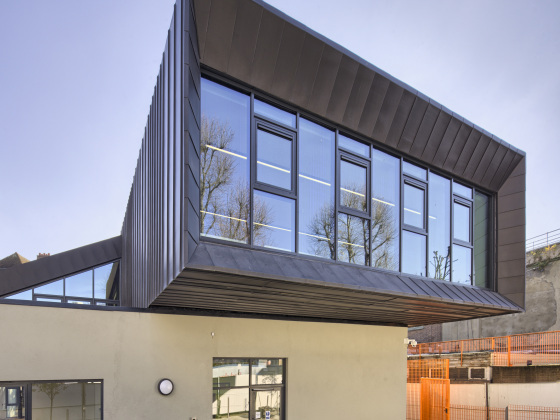 This project involved the major refurbishment and extension of an existing youth centre in Hackney to create a new flagship centre as part of the MySpace programme. The project had a budget which was strictly limited but a brief which required much enhanced and extended facilities. The original building was single storey and had a lightweight roof. The proposed scheme was to have a new first floor but there was insufficient budget available to demolish and rebuild so the new structure was designed to bridge over the existing. This bridge was also used to re-support the existing roof which allowed for the removal of a number of internal columns. 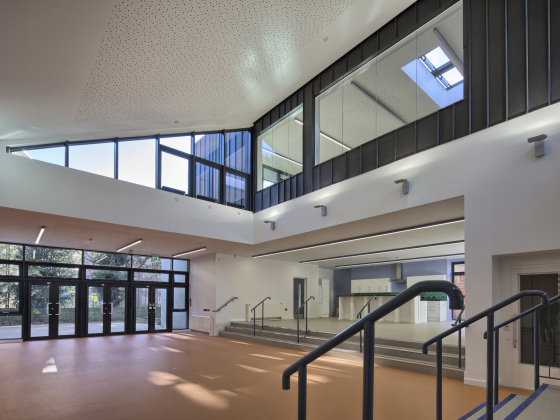 The result is a transformation from a neglected and vandalised building to a centre that appears completely new and which provides games/ dance/ arts/ pastoral support space internally and an external appearance which greatly enhances the local environment.